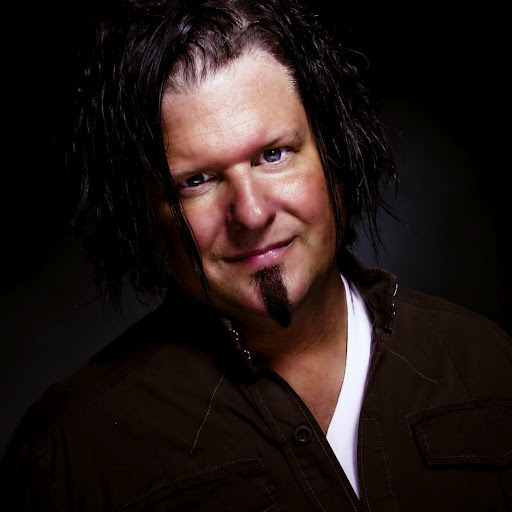 Brian Hadin is the founder of the Audio Bible, a daily podcast where he reads through the Bible every year. There are somewhere around 40 million listeners across the globe that tune into his broadcast. 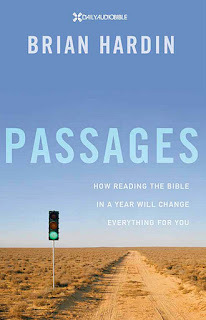 His new book Passages is part chronicle of how he started and who benefitted from his podcast, and part lesson on why reading the Bible is important. And while I think what he’s doing is a great thing, I don’t agree with his reasoning about why reading the Bible is important. I really wanted to like this book because I think this is a great ministry, but without a correct view of the Bible and its purpose, I think scripture becomes dangerously misleading. I want to say first off that I think these scriptures are absolutely true. The scriptures are inspired by God and completely true. I’m going to add a big “BUT” here that some people aren’t going to like. But the scriptures are not God; they’re not even a good substitute for God. Listen, God is our friend who is always true, and it’s His Holy Spirit that leads us into all Truth. Sometimes He uses the Bible, sometimes it’s a fellow Christian, sometimes it’s just the Holy Spirit speaking to our heart, and sometimes He splits the sky and speaks in thunder, but it’s always, always God. God is the one who not only gives us hope; He is our hope. Jesus is the only vine you have to worry about being separated from. Some day you may find yourself in a distant country, in prison, never to see a Bible again. If the Bile is where you think life resides, you’re not going to make it. Get it? Understand I’m not undermining scripture’s authority or denying Sola Scriptura here. Scripture is important in leading us to Christ, helping us to test the spirits and our hearts, rebuking false doctrines, teaching, training and all that, but without the Holy Spirit interpreting, it’s just a book, and a dangerous book at that if anyone but the Holy Spirit is doing the interpreting, which is exactly what Peter is talking about in 2 Peter 1:20. Obviously Hardin’s book stirred me up a bit. And I’ll give him the benefit of the doubt in saying I don’t think he intended the book to come across the way it does, but at the same time, coming to Jesus is what the Bible is all about, and I don’t see how anyone can read it in its entirety, year after year, and not get the major theme of the book. So while there is some great stuff in Passages about community and plans for Bible study, overall I can’t recommend the book.